Every year, we seek sponsors to support us in our efforts to supply as many back packs full of school supplies to needy children as we can. I am happy that we have several great sponsors this year! Wonderful Pistachios and Aldi are returning sponsors this year! We are also grateful for our newest sponsor, Classroom Direct. 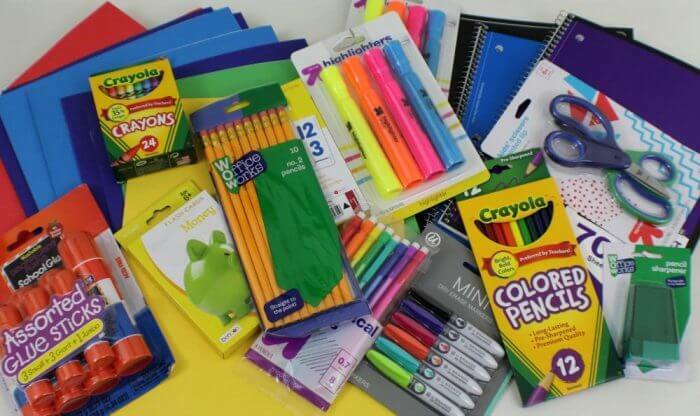 We also enlist the help of dozens of other bloggers to each fill at least one back pack with school supplies and donate it to a child, school, or organization. You can help by visiting all of the blogger sites listed below. You can help even more by leaving an encouraging comment for our bloggers or sharing their posts on Facebook, Twitter, or Pinterest! All of your help makes it possible for us to continue the event from year to year and secure sponsorship. Michele Brosius over at Just 2 Sisters writes about teaching her nieces and nephews to give back through her annual participation in the Giving BackPack Project. Mommy Makes Time writes about Making a Difference- Being The Good in the world. We Make 7 shares her experience shopping for supplies and donating her back pack. Teaching her kids to give back is important to the Mama Maven. 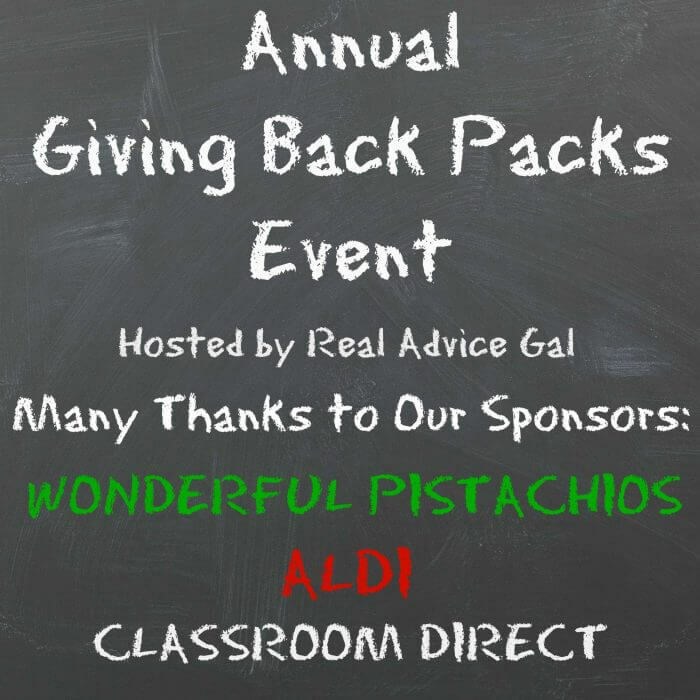 Dina at My Un-Entitled Life has a love affair with Wonderful Pistachios and loves to Give Back Packs too! With 3 kids in school Saving You Dinero knows the cost of school supplies and the importance of teaching her kids to give back. 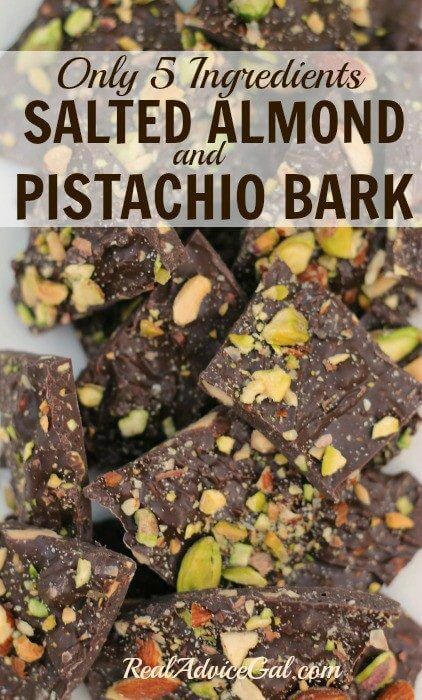 Wonderful Pistachios are just one of the best 18 portable snacks for teens and tweens over at Saved By Grace. Kansas Schools will be open and one young man will have all the supplies he needs thanks to She Smiles Within. Rachelle of Love Laughter Forever After and her daughter are starting the school year off on a bright note by donating a back pack full of school supplies to their new school. We all want to know “How many glue sticks does one kid really need”! 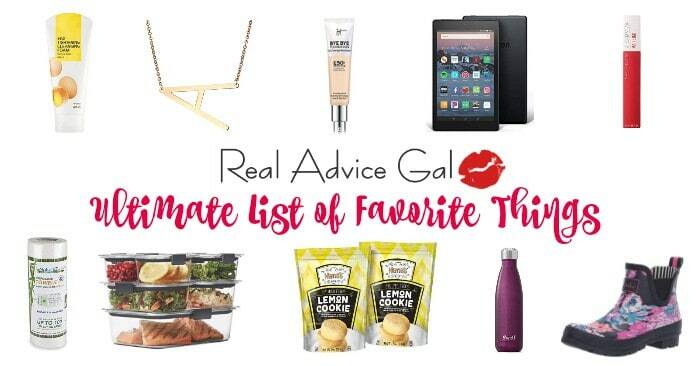 The answer inspired Real Advice Gal writer, Gina to participate in the Giving Back Packs Event.